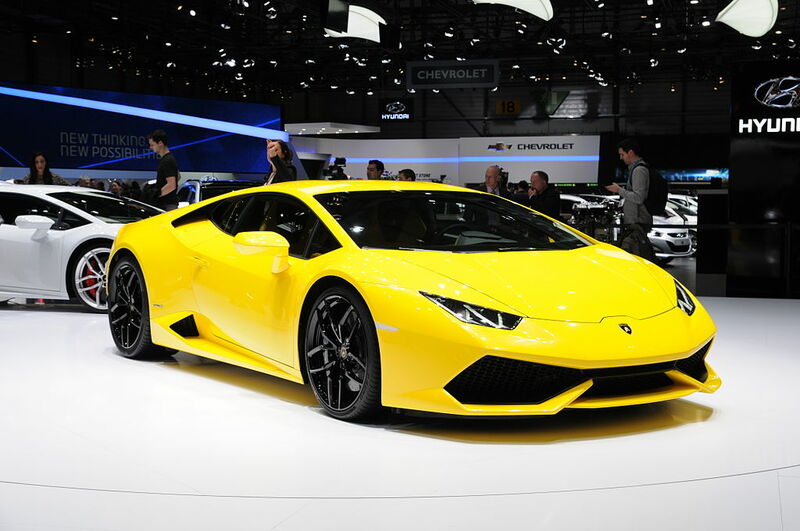 The Lamborghini Huracán is Lamborghini’s new replacement for its sales leader and most produced car, the Gallardo. With more than 14,000 copies of the Gallardo sold over two generations the Huracán certainly has big shoes to fill. The all new Huracán picks up where the Gallardo left off. Like its predecessor, the Huracán has a mid-mounted, naturally aspirated, 5.2-liter V-10 engine. This direct-injected power plant pumps 610 horsepower and 413 pound-feet of torque to all four wheels via a seven-speed, dual-clutch transmission. The new Huracán has a ton of shared technology with Audi’s next generation R8 due to Volkswagen Group’s ownership of Lamborghini. Capable of zero to 62 mph in 3.2 seconds, and zero to 124 mph (200 kph) in 9.9 seconds with a top speed of approx 201 mph the Huracán is a true super car. Its blistering speeds are a result of the unbelievable horsepower to weight ratio of 2.36 kg (5.20 lb) per horsepower. With a curb weight of only 1,422 kg (3,135 lb), the car’s chassis is made of carbon fiber and aluminium, destined to please the speed demons. Having been recently released, the Huracán is now making the rounds to the world’s top tier auto journalists. One of these first reviews comes from the UK’s Autocar who took the Huracán for a spin on the UK roads along with their favourite test track. Make sure you turn the volume up to take in the sensory experience of what it is like to drive a Lambo. We have to agree with the video reviewer as it really is one of the prettiest Lambo designed in the last 25 years. Bravo Lamborghini or should I say Audi AG! This entry was posted in News, Video, Views and tagged Audi AG, Autocar, Gallardo, Lamborghini Huracán, Volkswagen Group by northredline. Bookmark the permalink.